Our musicians are graduates of the best American and European conservatories. 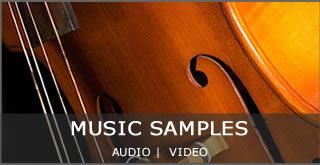 As soon as you hear our samples, the difference is immediate. You will hear the same top-level performance at your special event! We guarantee to provide the utmost professional standard that we strive to maintain continuously. Whether it be showing up well ahead of time, looking and acting professionally, providing all of the necessary equipment needed for our performance, our group is proud of its continued reputation as one of the most professional ensembles in the business. We’ve been in business for more than 10 years. During this time we have performed at more than 1500 events. Our experience allows comfort in any performance situation. It is likely that we already played at the location where your event takes place! 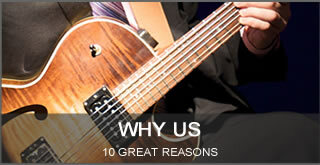 We know what it takes to provide just the right music for your event, and all the aspects associated with it. For all of these reasons our rates might appear slightly higher than the cheapest music solutions available to you such as hiring students, non-professional musicians, DJ / boom box option, etc. We believe however that we offer very reasonable and competitive rates for the highest caliber of music making provided by our group. Most likely we responded to your request within hours, sometimes minutes. Don’t be surprised. That’s how we do it. Our listed phone number is our manager’s cell phone that is on 24/7. We check our business email every 30min, 12-14 hours a day, 7 days a week! We make it easy for you to communicate with us! 6. Unlimited phone and email consultations. Unlike other groups, you can always talk to us about any concerns that you have regarding music at your event. We will guide you through our song selections. We will send you a standard questionnaire regarding every aspect of our performance at your event. Every little detail will be finalized ahead of time so there will be no worries on your special day! 7. Wide range of styles and 400 titles on our song list. We offer you the widest range of styles and the longest song list that is on the market! Classical – from Bach to Beethoven, from Mozart to Debussy and everything in between! Pop/Rock – it’s a specialty of ours, to custom arrange your favorite songs such as Beatles, Van Morisson, Coldplay, U2, Journey, Verve, N.Young, etc! Jazz – from background to danceable, from Dixieland to Miles, from Swing to Smooth Jazz. World – Klezmer / Israeli music, French / Gipsy Jazz, Latin / Spanish, Italian, Irish, Celtic, Eastern European / Russian, Tangos, Bluegrass, Folk, etc. We work with some of the best musicians in the area! 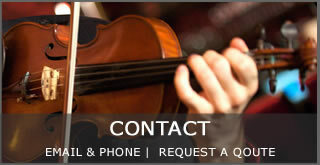 That is why we offer you complete flexibility in your instrument choice. Please check our list of available performers below. 9. Flexibility with guest performers and learning new song(s) upon request. We always strive to accommodate your every need as best we can. That is why we gladly welcome a guest performer from the client’s party into our group! It’s best to agree on what we will perform together beforehand! We know that you have favorite songs that you would like to hear at your special event. Most likely they are already on our full song list. If not – we will always make our best effort to accommodate you with your requests. 10. We love what we do! We truly enjoy playing music for people! We take great pride in what we do. It’s a great feeling for us to know that we provided just the right music for the occasion and contributed to making a very special and memorable occasion! The countless number of positive comments from our many clients speak for themselves.